Fee: Nu 3,500 (inclusive of textbook, daily lunch, morning and afternoon tea). Self-paying participants can inquire regarding a special discount. The workshop is intended for decision makers in government, corporate and private organisations in Bhutan. Attendees will gain knowledge on how Excel can be used effectively for supporting decision making. The workshop is very hands-on: participants will gain practical knowledge by using Excel on our lab computers. Basic knowledge of Microsoft Excel 2003 or later. Instructor Biography: Galit Shmueli is the SRITNE Chaired Professor of Data Analytics at the Indian School of Business and Associate Professor of Statistics at University of Maryland’s Smith School of Business, USA. She teaches data analysis, data mining, and related courses at the MBA and PhD programs. She also teaches online courses at Statistics.com. Prof Shmueli authors several books including Data Mining for Business Intelligence (also available in Indian edition). 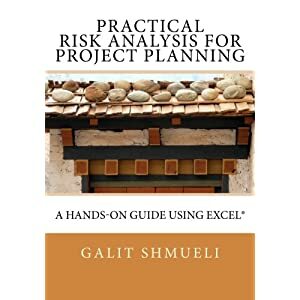 Workshop participants will receive her new book Risk Analysis for Project Planning: A Hands-On Guide Using Excel.